On Friday, April 22, 2016, the USDA announced that it has finalized meal pattern revisions to the Child and Adult Care Food Program (CACFP). This rule updates the meal pattern requirements to better align with the Dietary Guidelines for Americans, which was required by the Healthy, Hunger-Free Kids Act of 2010. Requires whole vegetables and fruits to be served at snack for infants 6-11 months of age. Eliminates fruit juice from the infant meal pattern. Allows ready-to-eat cereals to be served as a grain at snack for infants 6-11 months of age. Allows cheese, cottage cheese, and yogurt as allowable meat alternates for infants 6 – 11 months of age. Establishes the child and adult age groups as 1-2 year olds, 3-5 year olds, 6-12 year olds, 13-18 year olds. Requires breakfast cereals to contain no more than 6 grams of sugar per dry ounce. Starting October 1, 2019, ounce equivalents are used to determine the quantity of credible grain. Allows meat and meat alternates to be served in place of the entire grains requirement at breakfast a maximum of three times per week. Requires yogurt to contain no more than 23 grams of sugar per 6 ounces. Prohibits flavored milk for children 2-5. Allows yogurt to meet the fluid milk requirement once per day for adults only. Recommends as a best practice that flavored milk contain no more than 22 grams of sugar per 8 fluid ounces for children 6 years old and older, and adults. Requires potable drinking water to be offered to children throughout the day and available to children upon their request throughout the day. Reimburses providers for meals when the mother directly breastfeeds her infant at the center or daycare home, for infants birth through 11 months of age. Establishes a separate vegetable component and a separate fruit component at lunch, supper, and snack. Limits the service of fruit juice or vegetable juice to one serving per day for children 1 year old and older. Requires at least one serving of grains per day be whole grain-rich. Disallows grain-based desserts from counting towards the grains requirement. Allows tofu as a meat alternate. Allows non-dairy beverages that are nutritionally equivalent to milk and meet the nutritional standards for fortification of calcium, protein, vitamin A, vitamin D, and other nutrients to levels found in cow’s milk. Prohibits frying as a way of preparing food on-site, as defined as deep fat frying. Restricts the use of food as a punishment or reward. Allows reimbursement for meals that contain one component that is provided by a parent or guardian, or by, or on behalf of, an adult participant. Codifies proposed practices that must be followed when a provider or center chooses to serve meals family style. The meal pattern also offers “best practice” guidelines, which (while not mandatory) will be addressed in policy guidance rather than through regulatory language. These best-practices include, among others, supporting breastfeeding mothers, including making one of the two snack components a fruit or vegetable, providing at least two servings of whole grain-rich grains per day, serving only lean meats and limiting processed meats, and serving only natural cheeses that are low-fat or reduced-fat. Some state child care license regulations have nutrition standards that are linked to CACFP requirements. Depending on how the state regulation was written, the regulation may not automatically adopt the new meal patterns. This means that some child care regulations may have state standards lower than the new meal patterns. These states may need to reopen regulations if they want the state licensure regulations to meet the new CACFP meal patterns. In the public comment period, USDA received support for the rules on breastfeeding, vegetable and fruit requirements, the increase of whole grains, and the reduction in sugars. USDA also received comments expressing concern over the cost of the changes and the timeline for implementation. These changes would come at a significant cost—both in terms of food costs borne by providers and the training and support costs to ensure that all providers have the information and supports to properly implement the new requirements. 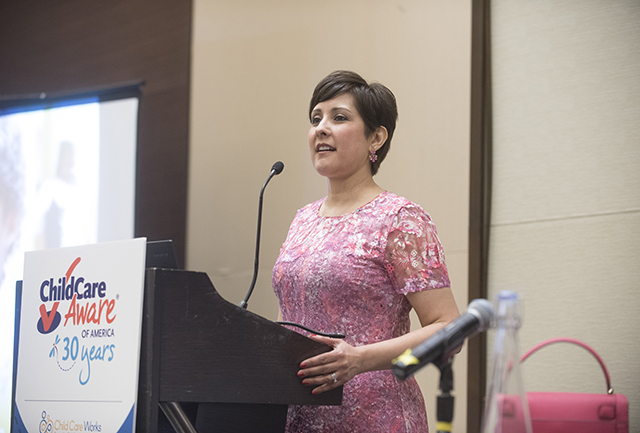 The final rule made changes that would have a lower cost impact to providers and provided a lengthy timeline to help providers plan implementation and get support and training when needed. Although the rule does not go into effect until October 1, 2017, participating programs will need ample time and resources in order to make changes to their menus and procurement systems. Cooks, center directors, family child care providers, and teachers will all need training and technical assistance. So my question is who is paying for the “ample costs to providers”…the government that made these rules or are we expected to raise our rates to parents? Hi Lisa. I should have made the article more clear–when the initial best practice recommendations were shared, providers were worried a lot about the cost. The changes to the meal pattern that will go into effect next year were made with cost in mind–the cost impact is there, but it is not as severe as implementing best practices would be. For example, they took out the requirement that providers create menus that have children to eat the rainbow, because it was clear that the cost of sourcing that many different fresh fruits and vegetables would be very expensive. What parts of the meal pattern do you think will be the highest cost for you? This allowing the parent to provide one component of the meal (other than breast milk) is that is a parent insists on providing something from home or garden for the child? Great question, Christine. This rule is targeting children with non-disability medical or special dietary needs, so it’s not about every child and doesn’t work at every meal–just the meals where there is something that the child cannot eat. The rule allows parents to bring in one item for the meal that would support the special diet. For example, if a child cannot drink cow’s milk, a parent might bring rice milk instead and the center can still get reimbursed for the meal even though it did not provide the child with the milk substitute. Also, it’s important to note that the item that the parent brings must fit into the CACFP meal pattern (you can’t substitute cow’s milk with a sports drink, for example). Nice article. Thank you. Costs for fruits and vegetables, at the time I’m writing this comment, are WAY more expensive than a loaf of bread. Requiring these to also be served at snack will proportionally increase my costs. I will have to pass this on to parents as I only take a total of 4 children. I see a lot of waste happening, too. Some of these babies I have barely finish the solid foods in favor of the bottle. I’ll be supplying my refrigerator with a lot of uneaten foods. Thanks for your comment, Teresa. Even with a switch to frozen or canned vegetables and fruits, the cost is higher than breads and snacks that are grain-based. Unfortunately, infants, toddlers and children are not getting their daily recommended fruits and vegetables; parents AND providers both struggle with food costs. Are you connected to other providers in your area that are struggling with the same thing? Though fruits and vegetables do cost more, we know that introducing children on different fruits and vegetables early leads to less waste and better eating habits as they get older. In fact, we’re learning that children develop a taste preferences at a really early age, so the sooner they try a food, the more likely they are to eat it their whole lives. And I know that getting infants to try solid foods is tough. It feels like a waste to give them food that they try and then don’t eat, but the more they try it, the more likely they will eat it in the long run. Thanks again for your comments–and keep checking in for information to help support you with implementation of the new standards. Thank you for your reply. I see that the Federal reimbursement rates are going down for the next year. Very sad. I may end up dropping offering the food program all together, and have parents supply formula and foods for their infants and toddlers. 🙁 I’m not surprised, really, the young and the elderly have always gotten the short end of the stick when it comes to bureaucracy. My assistant and I play with the kids inside and outside with them getting tired from fun and games- with them getting hungry for snacks and meals. I offer new foods or different foods from around the world when I can. When the children are at there hungriest after playing hard and using lots of their energy, they seem more open to try new foods. This is a technique that works for us. We also will try to find a book about the new food and just talking about the texture and the smell then tasting. (more like a food science experiment) This combo seems to work, as well. When we do family style meals, we’ve already done our taste test of the new food item before it’s put on the tables. If kids are rampant with sneezes or coughs, then we serve the children individually, so they don’t sneeze or cough on family style foods on plates and bowls. Food establishments have glass sneeze guards to prevent the spread of germs, but family style childcare has not figured out how to do this as of yet. When I serve them one by one, I usually start with the strongest eaters first and work my way around the table, so the strongest eaters can role model to the other children who are still figuring things out–all my kids eat real good with these small techniques. Those are fantastic strategies, Janice! Thanks for sharing them. You have some lucky children and families. Will we be able to serve two vegetables at lunch? We serve out fruit at breakfast and snack. Yes! Two veggies are creditable. The goal was to make sure that children were served at least one veggie at lunch. Does this new rule include public elementary schools? As a provider in a more holistic type environment I always struggle with Cows milk, will the changes allow us to be credited if we serve rice milk, almond milk etc. given they meet calcium requirements? Thanks for your question. The CACFP does allow for milk substitutions if they meet specific requirements. A memo by USDA on July 14, 2016 details what those requirements are. Your sponsor or state agency might have its own guidance too! I am repeating a question. In Missouri will I be expected to serve both a fruit and vegetable at lunch? Again, can I serve two different vegetables for lunch? Yes–if you are a CACFP provider, you must serve a fruit and vegetable or two vegetables at lunch. You may not serve two fruits at lunch. Great question! Are you still allowed to serve 100% fruit juice for breakfast? You can use fruit juice as a substitution for a whole fruit once per day; if you want to serve apple juice as the breakfast fruit you may. However, you cannot serve juice a second time and count it as a serving of fruit at another meal. 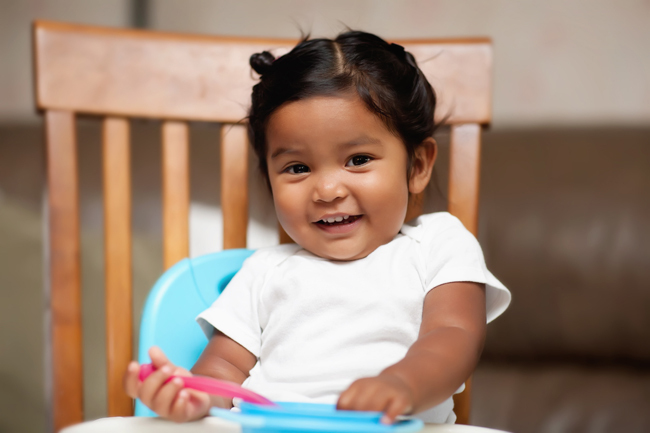 Hi, I have a question my daughter is not eating any of the new food on this plan at daycare, am I allowed to bring in a yogurt or something simple to add to the meal that they give her or does she just not eat? Hi Jacquie -CACFP doesn’t have any rules about whether or not parents can send kids in with their own food. Policies about serving outside food tend to come from individual child care programs, and sometimes from the state. Does your program have a manual or parent handbook? If so, ask for it and look to see if there is something there about why you aren’t allowed to bring outside food. Talk to the program director about why they have that policy. If your state has rules around bringing food from home, ask for more information about that. If you need help understanding those rules, contact your local child care resource and referral agency for help (link to CCA search) or your state licensing agency (link to CCA search). You could also ask about how meals are being served and what the program is doing to get kids more interested in eating the food. When meals are served family-style and kids have a chance to serve themselves, they are more likely to try the food. It can also help to have teachers with the kids during meals and talk about the food they’re eating—Where does it come from? What colors and shapes do you see? What does the food feel like in your mouth? Making some changes to the eating environment can help kids get more interested in trying new foods. Question I understand the outside food cannot be brought in to the center but are we allowed to send our children with a water bottle? The day care my children go to has metallic tasting water my 5 year old has expressed that she does not like drinking the water and I have a 2 year old there. I tried sending a closed store bought water bottle and was told that I needed a doctors note. Dr. told me she doesn’t feel that this requires a medical note and has advised me to contact the water supplier for the city. I am just shocked that water would be something I would need a doctors note for and I haven’t been able to find any evidence to back that up on this website. Krista Scott: CACFP requires that programs offer children water throughout the day, and it does not prohibit parents from bringing in water. Child care centers and day care homes can make water available to children in a variety of ways, including having cups available next to the kitchen sink faucet, having water pitchers and cups set out, or simply providing water if it should be requested. States and even child care programs may have additional requirements around water, but these rules are typically designed to make sure the water is safe and clean or that the bottles are safe and clean, not to make it harder for children to drink water. From your note, it sounds like a policy from the program. Does your program have a manual? If so, ask for it and look to see if there is something there about how they serve or offer water. And then you can refer them to information from the USDA about water service. If your state has rules around how they have to serve water in the child care facility, ask for more information about that. If you need help understanding those rules, contact your local child care resource and referral agency for help (link to CCA search) or your state licensing agency (link to CCA search).